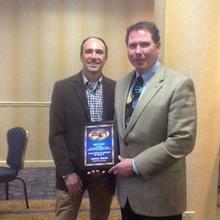 The NHADA is the state professional organization for all high school athletic directors in New Hampshire. The organization provides services and opportunities for professional development and networking among its members. Each year in May, we sponsor a major state conference for our members. We offer Leadership Training Courses, as well as pertinent seminars and workshops. 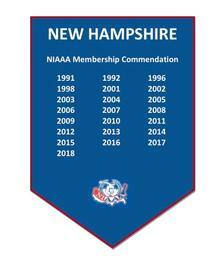 The NHADA works closely with the NHIAA in establishing policies and guidelines for the state athletic programs. 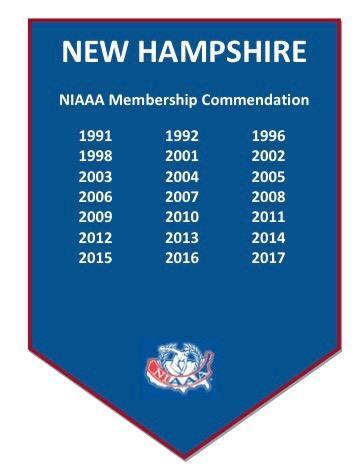 The goals of the association are to improve athletic programs in the schools, advance the standards of athletic administrative leadership and provide support to the NHIAA. New Hampshire, and retired Athletic Directors may join as non-voting members. 2. Each paid member / school will be entitled to one vote. The President shall preside at all meetings of the Association as the chief executive officer. The President shall have the power to appoint special committees for the purpose of improving the objectives of the association. The president shall be the association’s delegate to the annual national convention of the NIAAA. All expenses for this conference shall be paid for by the association if they are available. The 1st Vice-President shall perform the duties of the President when the President is absent or unable to attend. The 1st Vice-President shall assist the President in any matter necessary. Responsibilities shall include the Scholar-Athlete programs and serve as liaison to the spring conference committee. The Secretary shall be the chief correspondence officer responsible for all such records and proceedings of the association. That person shall be responsible for notices, publications, reports, and other items necessary for the proper operations of the association. The Treasurer will be responsible for receipt and disbursement of funds as authorized by the Executive Committee. Accurate records are to be kept subject to review by the Executive Committee. A financial report shall be given as routine order of business at all open meetings. Other responsibilities include membership and membership records. The past President is to assist in the transition of leadership of the new President and oversee the mentoring program. Members-at-Large, one from each division, voted on by their divisional membership. that division must elect a new Member at Large. majority vote of the Executive Committee. any action taken shall be based on a single majority. each year by the President, as needed. Committees shall be formed as deemed necessary by the Executive Committee. approval at the regular business meeting at the Spring Conference. Executive Council in the fall following their election. All Athletic Directors within the division needing representation will be notified that elections are being held. 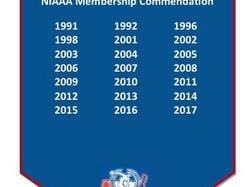 Each Athletic Director may nominate a paid member within their respective division. developed to best serve the purpose of the organization as outlined in Article II. prior to any regular or special meeting. action in accordance with the constitution and by-laws.